Free State senior Sawyer Nickel rallies back a ball in a singles match at the Firebird Invitational on April 2, 2019. 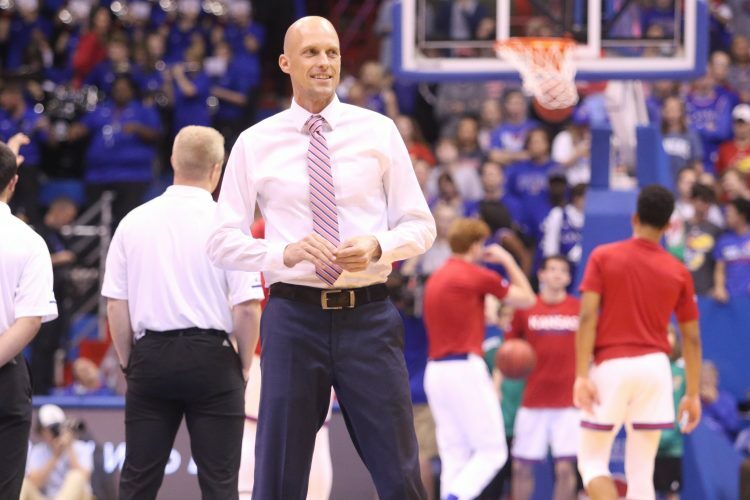 It was another strong week for local high school athletes. 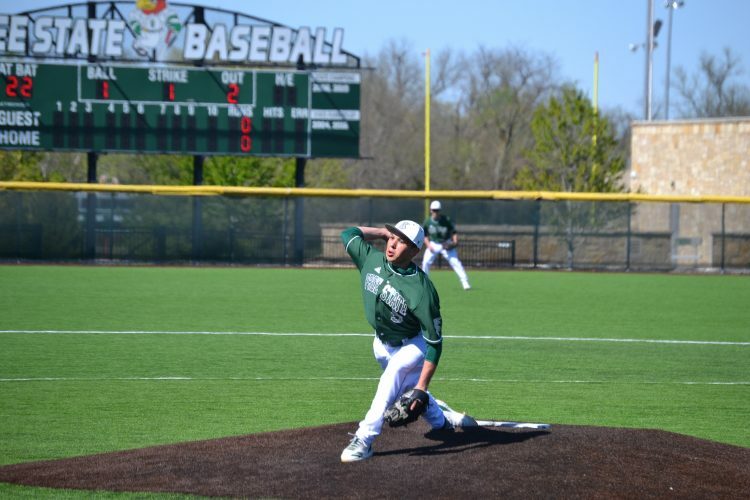 Free State came out on the right end of two different City Showdowns, claiming a 12-0 win on the softball diamond and maintaining bragging rights on the tennis courts. Both city baseball teams extended winning streaks ahead of the River City Festival. 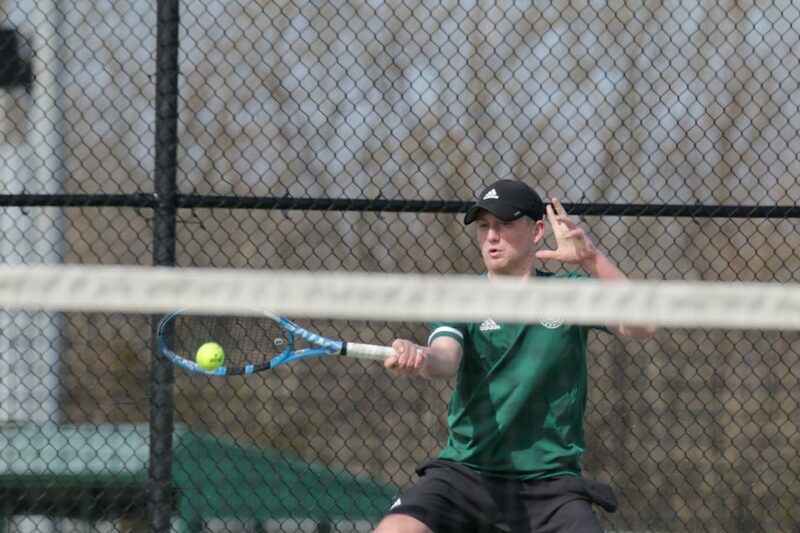 Sawyer Nickel, FSHS tennis — The Free State senior only dropped one game of his three matches en route to a first-place finish Tuesday during singles play of the City Series. Nickel also notched first at a quadrangular Wednesday, winning all three of his matches in the No. 1 singles bracket to help the Firebirds claim second as a team. 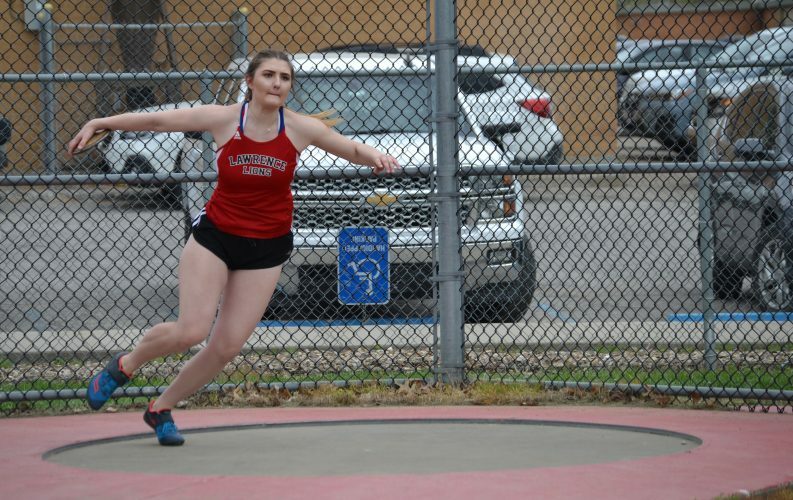 Josie Hickerson, LHS girls track — Lawrence’s girls track team won just one individual event during Friday’s Barrier Breakers Meet. Senior Josie Hickerson, who also competed in gymnastics, finished first in the pole vault competition. She cleared 11-foot-0 to take the top spot in the event. Caleb Mondi, LHS baseball — Plenty of players were responsible for helping LHS (6-4) win its third game in a row with a 14-3 victory over Olathe North. Mondi, a senior, recorded three RBIs in the lopsided win. Earlier this week, Mondi also registered a RBI single against Shawnee Mission North. 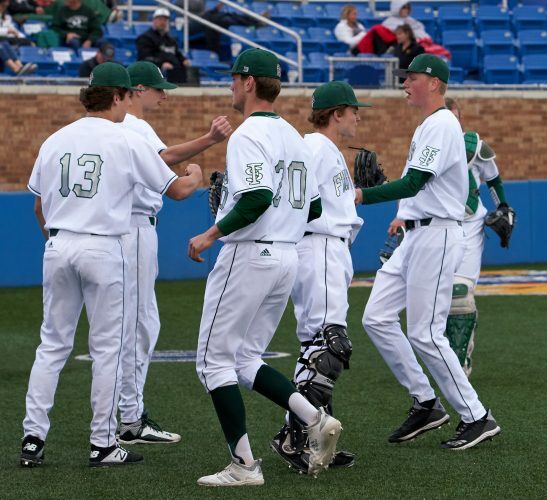 Creighton Cordova, FSHS baseball — Free State picked up a pair of wins this week, extending its win streak to nine games and moving into sole possession of first place in the Sunflower League. Cordova was credited with two RBIs off three hits against Turner, and he recorded multiple hits against Gardner-Edgerton as well. Draven Webb, Veritas baseball — The Eagles took second in the Berkley Walline Memorial Tournament this past weekend. Webb was a big reason why Veritas scored 25 runs in three games. Webb finished with a .500 batting average in 10 at-bats, delivering a double and a triple to go along with four RBIs. Allie Nally, Perry-Lecompton softball — The Kaws scored 14 runs off 14 hits in a 14-1 win over Oskaloosa Friday night. Nally led the offensive output with three hits in four at-bats, including a double. PLHS is now 4-4 on the year and will travel to Royal Valley Monday. Jayla Pierce, Eudora softball — The Cardinals rolled to a 10-4 win over Spring Hill during the first game of Tuesday’s doubleheader. Pierce recorded six RBIs, including a grand slam, to help seal the deal. EHS eventually went 4-0 on the week after a 6-3 win over Spring Hill in the nightcap. Eudora (8-1) also claimed a 16-0 victory and a 15-5 win over DeSoto. Korbin Hiebert, Eudora baseball — To avoid a sweep against Spring Hill, Hiebert had a strong showing in the nightcap of a doubleheader. Hiebert, who was credited with the win, helped the Cardinals hold the opposition to two runs off three hits. The performance came right after Spring Hill scored 17 runs in a 17-5 win in the first game.